While I wasn’t too impressed with their latest entries, my favorite franchise would still have to be Final Fantasy. It sets the precedent for grand story-driven RPGs and has made some tremendous contributions to the industry and my life. Back in the day every game was just filler to pass the time until the next Final Fantasy. 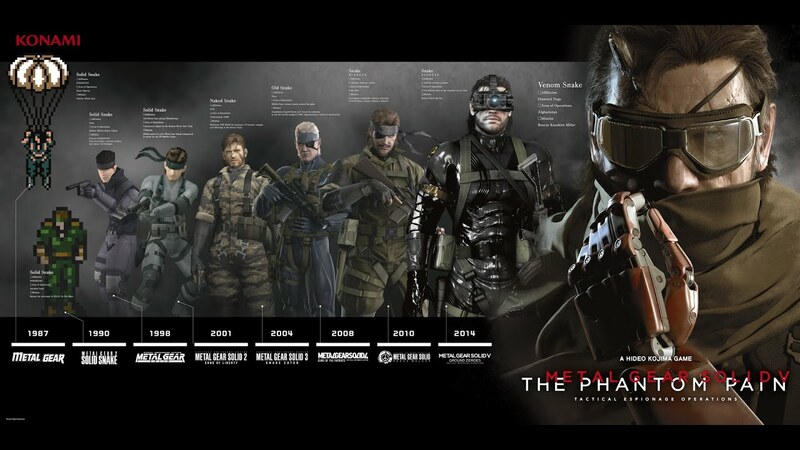 Three words: Metal Gear Solid. I must be into disappointment (actually, it’s what feeds the intensity of my rage) because my favorite franchise is Sonic. No other second fiddle has had more broken strings. From his first “kid sidekick” outing racing through levels designed to keep him from doing the one thing he is good at, running real fast, to the unforgivable products more recently released with his name smacked across them like a whiner’s teeth being kicked to the curb. When I finally burst a blood vessel in my Red Bull-fueled brain, I want Sonic to carry my coffin so he can let me down one last time. And then after that I want the preacher to shoot him in the gut and bury him next to me, so I can watch his body break down just like his franchise did. Actually we were joking around when we started this challenge that I was only going to answer “Kirby” every day, but I’ve been surprised to discover that I know a bit more about gaming than I thought. Still, my favorite franchise is anything Kirby. I just love that cute pink puffball! A few franchises that vie for my top place would be: Super Mario Bros., Breath of Fire, Metal Gear Solid, The Legend of Zelda, Arkham, and of course my boy Mega Man. That last one would have most certainly been my favorite if not for Final Fantasy. I have loved Final Fantasy since as far back as I can remember. I’ve played nearly all of the games, minus III, XI and XVI. I’ve been inspired by its themes, its eloquence and elegance, its complexity and characters, its depth and scope, its visuals and magnitude, so much so that I created this blog themed around the original Final Fantasy. It has consistently (for better or worse) pushed the envelope with RPG battle systems and gameplay. It’s created some of the most beloved and iconic articles of gaming. Like the Timely Mage expressed before me, Final Fantasy may be a franchise that hasn’t impressed me nearly as much as it did in the past, but I still see it as the king of RPGs, one of the longest running, most influential and successful role-playing franchises there are. Its impact upon gaming has been undeniable. Without Final Fantasy, I would never have become a Well-Red Mage… and maybe not even a writer. Did you enjoy this post? Consider becoming a Warrior of Light and join us in restoring integrity and quality to entertainment journalism. We specialize in long-form, analytical reviews and we aim to expand into a podcast and webzine with paid contributors! See our Patreon page for more info! My favourite franchise is Legend of Zelda. While I have only played a few after Ocarina of Time, I find them very good games. I enjoy the puzzle-solving, the in-depth stories, the interesting characters, the exciting gameplay and the intricate designs. I enjoy other series’, such as Metal Gear Solid (I have only played a few, but there are too involving for light playing), Grand Theft Auto (which can have annoying aspects) and Sonic (the 3D games can be a little repetitive), but Legend of Zelda seems to have more good points. I played Tales of Destiny and enjoyed it! It’s one of those series that I wish I had more time for. The Legend of Zelda, for sure. I’ve been obsessed with the series since the original released on NES. I remember my babysitter playing it religiously and I was so engrossed in watching her play that I’d fake sick to stay home from school. I’d hum the overworld theme song to myself while trying to fall asleep at night, draw the triforce on all of my school folders, and even made a tiny wooden sword I’d swing around in the back yard. When Zelda 2 came out I almost injured myself trying to mimic Link’s downthrust ability by jumping off a tree stump… yeah, that happened lol. I spent entire summers playing A Link to the Past, chewed through countless batteries with Link’s Awakening, and bought my first console (not my FIRST first, but first I paid for myself) in the N64 just for Ocarina of Time. I’ve followed the series closely ever since, though I’ve still not managed to play Twilight Princess or finish Skyward Sword. One day. Metroid would be a close second. It’s hard to top the Legend of Zelda. Luckily, I missed out on Zelda 2 as a child, but I’ve been able to get my grubby hands on most of the others over the years. Twilight Princess is great! But Skyward Sword is unknown to me. Zelda 2 was very divisive, but I’m in the camp that really enjoyed it. Looking back it was definitely the most RPG-feeling title in the series, with the world map and level-up feature. I can see why folks loathed it though. For me it was just too excruciatingly hard. I grew up on games that demanded timing but this was too much for me. Are there any tips you’d offer someone for survivability? Gaining levels makes all the difference in the world, since that’s how you gain additional life. It’s also like Mega Man, or any classic 2D platformer really, where you have to study the enemies and see what their attack patterns are. I’m also never opposed to using a guide with old RPGs. Some of them don’t guide you along at all and I’d rather not spend 3 hours blindly roaming with zero progress. Only one I’ve played was the first one and I did like it. Not sure why I never made it around to any of the others, though. What do you think of the new one coming out, which was announced at E3? Without Final Fantasy I wouldn’t be the Shameful Narcissist I am today. It’s inspired me to not only write and dream, but to also think critically. FFVII was one of the first stories I ever “saw” that “lied” to me in narrative. It forced me to dig deeper to find the meaning/truth within. FFVI was my first foray into fanfiction, and the entire franchise inspired and helped shape me into the writer I am. I put FF in the same category and caliber of narrative as many books, movies, and other “greater” media, and while I may be disappointed with where Squeenix has taken the series, their past works will always stand as hale foundation to something great and profound. Couldn’t said it better myself. It transcends its medium. I was hoping to see Final Fantasy on a site with mages, and you did not disappoint! Final Fantasy is a great series to have as your favorite. Not even counting spinoffs and sequels, there’s a ton of variety in both the gameplay and the stories they tell, which is why people can even debate which Final Fantasies are the best. I have a lot of favorite game series like Mario and Zelda. If I had to say “franchise,” nothing can probably beat Pokemon for me. As a kid, I was obsessed with the Pokemon brand and got lots of games, cards, anime, toys, plushes, books, anything with Pokemon on it. Pokemon has helped me make friends throughout my life, so it’s been an impactful series for me. I’ve stuck with Pokemon ever since it was hugely popular when it came out to now when Pokemon GO is suddenly hugely popular. I’ve loved every game in-between, and always get deeply involved with playing competitively and catching ’em all (which I’ve done each generation). There’s just something about Pokemon that transcends the game, which is why it’s my favorite franchise. Right? The numerical entries alone are incredibly diverse for a single franchise. And while most of the spin offs are a hit or miss, there are some really great ones out there. I’m glad you expected FF to be lauded by mages, because I was hoping you would stick up for Pokemon, you Panda you! My avatar is a Pokemon after all, haha. Mass Effect for me. Hands down… I love the series, despite the horrifically bad ended. Hopefully Andromeda pulls a Dragon Age Inquisition. Haven’t played it and I need to! 😦 It’s worth trying at least. Well once again, it all comes back to the Driver series for me (Driver, Driver 2, DRIV3R, Driver: Parallel Lines and Driver: San Francisco). I’d attempt to explain why, but – to shamelessly self-promote myself – I’m making a documentary about it, so that will explain my answer in time. Hey you’re making a documentary? How might one peep this peepshow?